About Taylors Clematis Nursery We are a Family Business that have been growing clematis since 1982, we are multiple RHS Gold medallists and attend all the major shows up and down the country. We operate a next day delivery service anywhere in the uk and have opendays 5 times a year here at the nursery to raise money for Parkinsons. 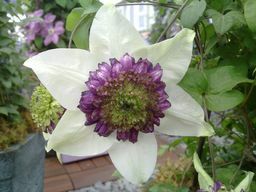 We currently have the largest selection of clematis in the UK.